Miller by Sperian , a world-leading specialist in personal protective equipment (PPE) introduces the new Kernmantle range of anchorage lines and rope lanyards to their fall protection equipment. Designed to ensure height safety while working at heights, the new Kernmantle range of anchorage lines and rope lanyards from Miller by Sperian are manufactured using heavy duty abrasion-resistant 11mm Miller Kernmantle rope, a static braided rope utilised in rescue operations. 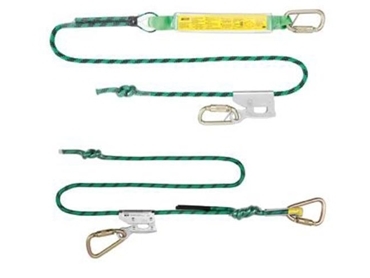 Miller Kernmantle adjustable rope lanyards and Miller Kernmantle anchorage lines can be used for a wide range of at-height applications. Sperian Protection is now part of Honeywell.